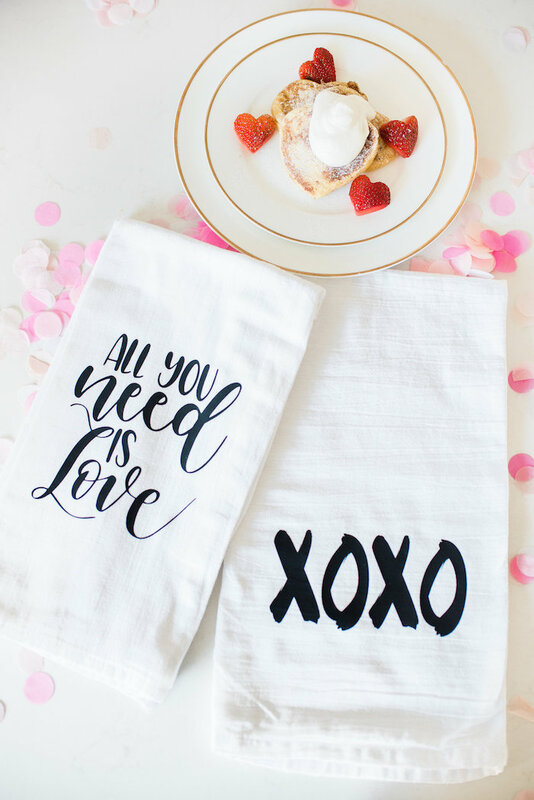 Lift your glass and tell a tale, this Garden Galentine’s Day Ladies Luncheon by Bev Soh of Hand Lettered Love, out of Port Coquitlam British Columbia Canada, is positively swell! 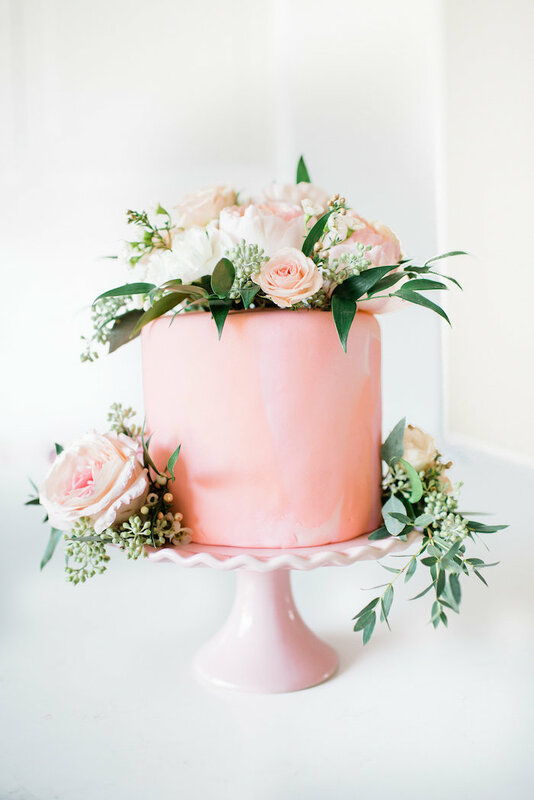 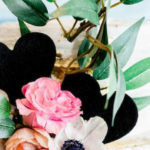 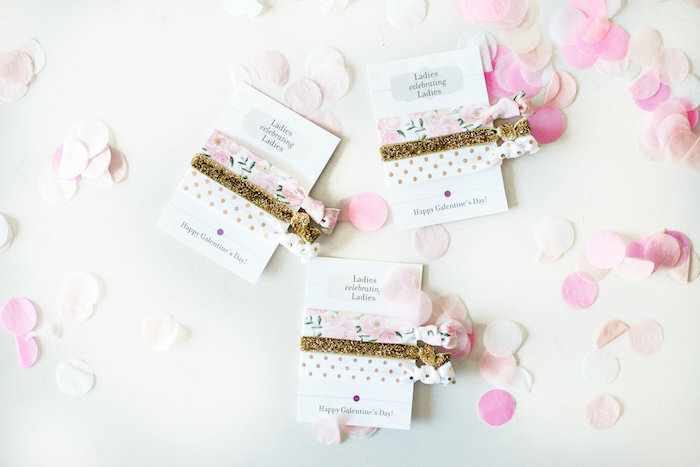 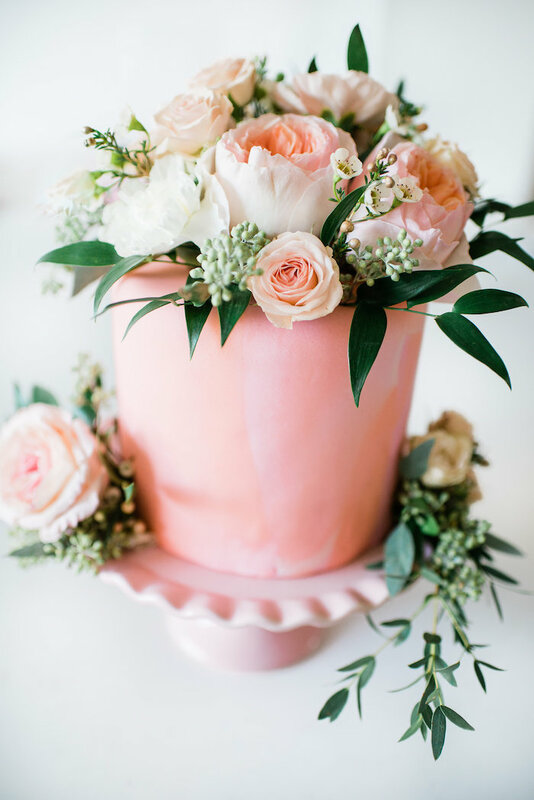 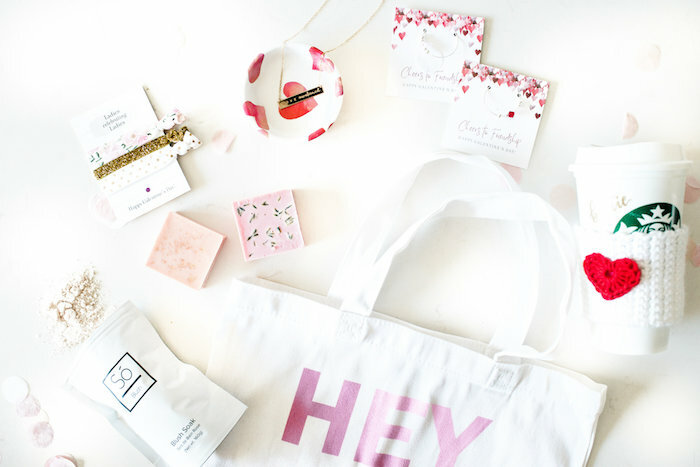 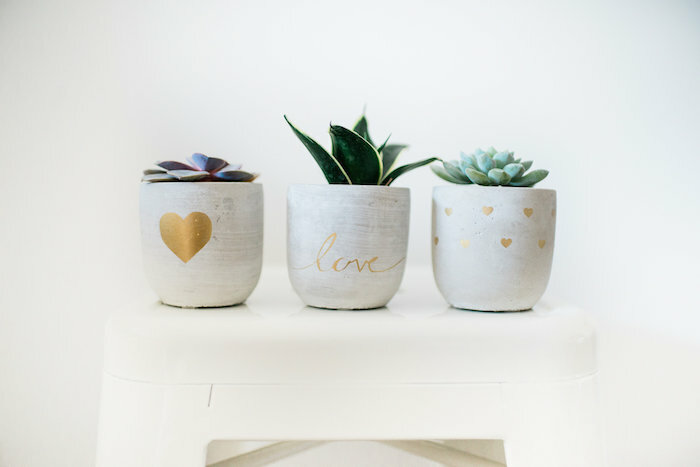 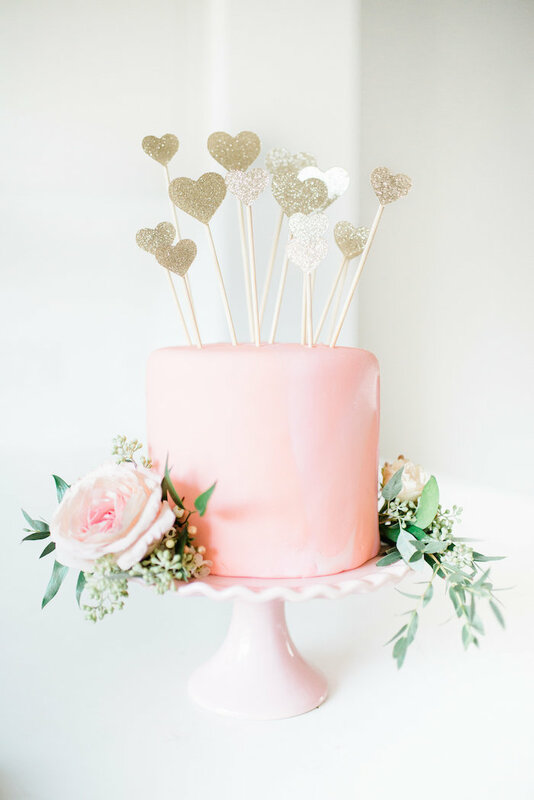 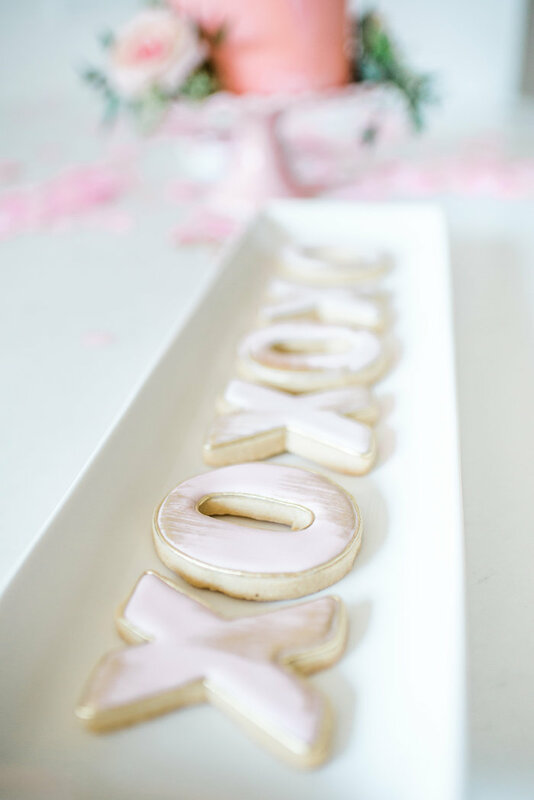 Showcasing pretty blooms and loving sweets, this Valentine’s Party is cute and unique! 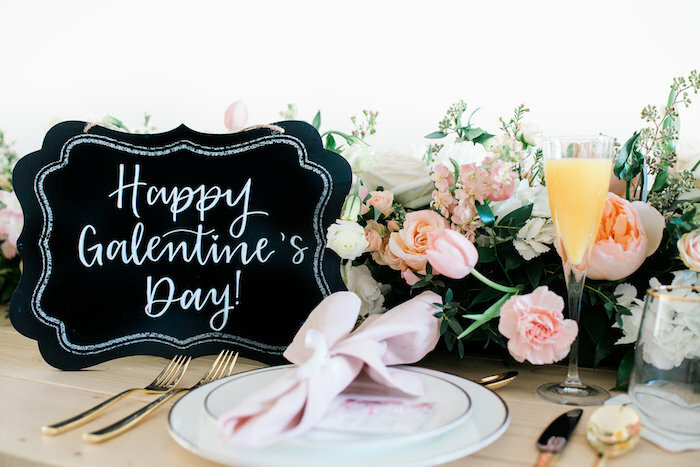 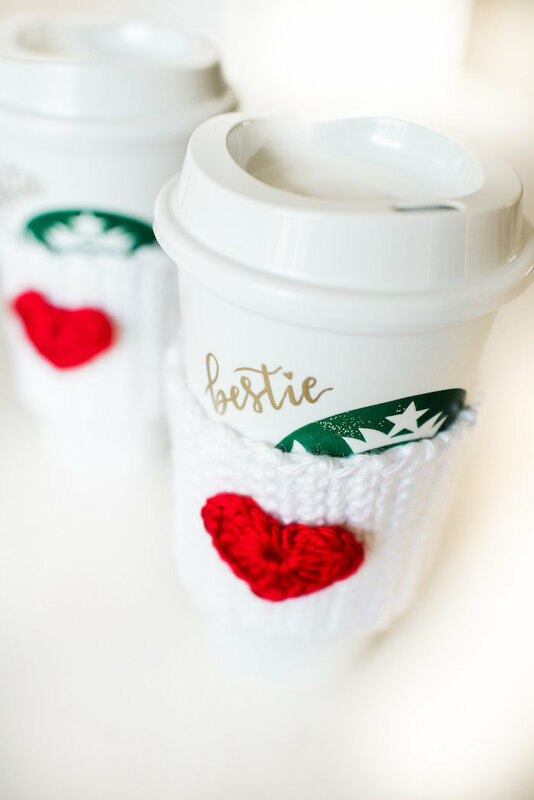 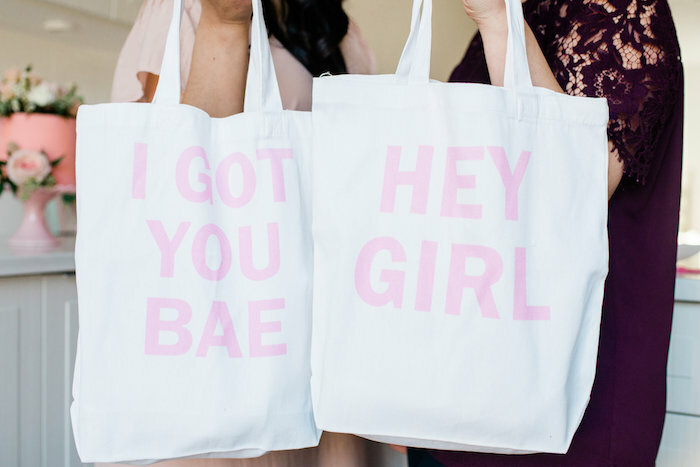 its almost Galentines day! 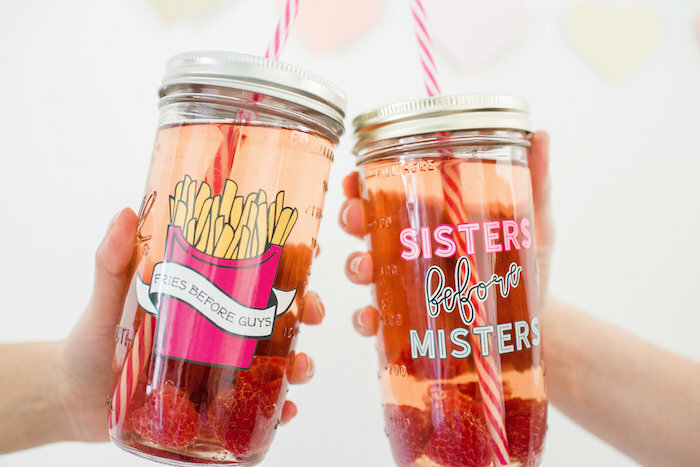 The day before Valentines day is the day leave the boys at home and celebrate with your best lady friends. 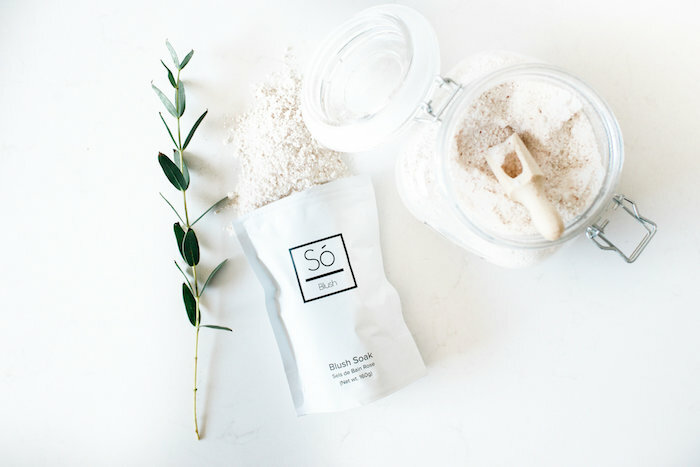 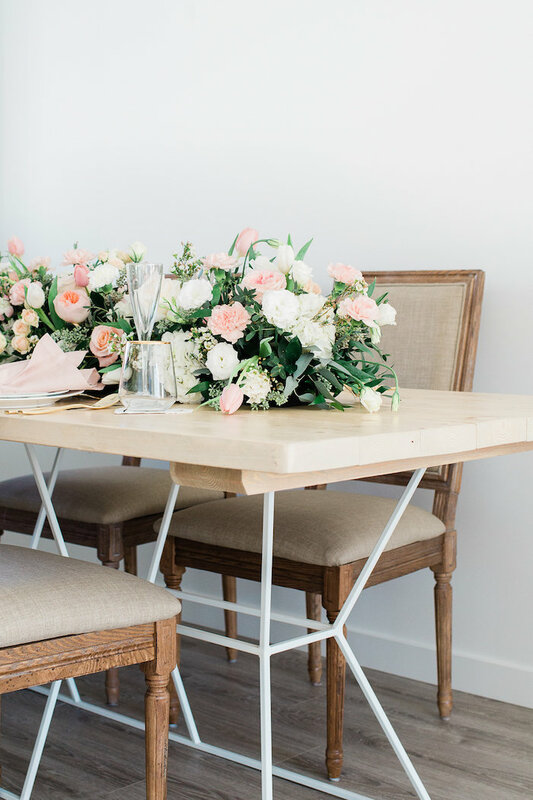 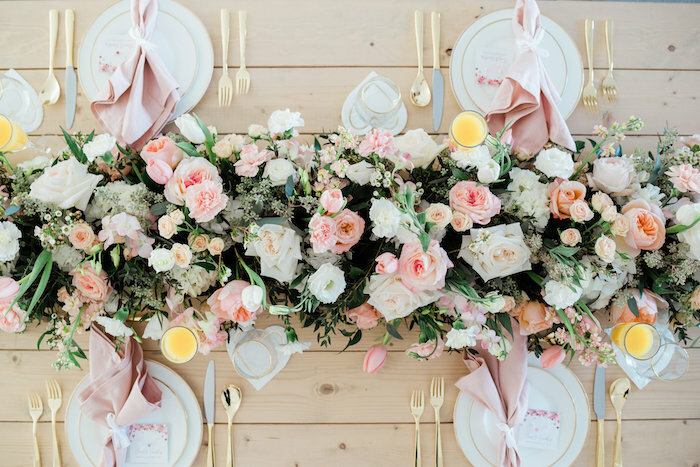 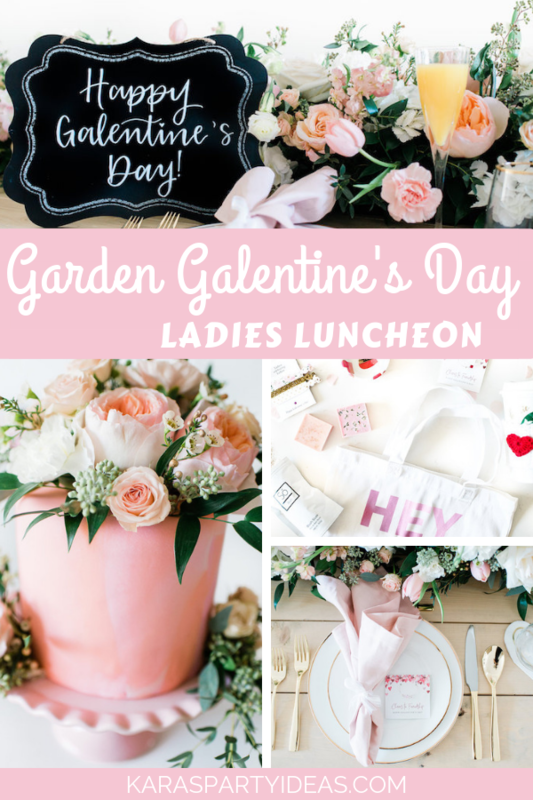 We put together this beautiful styled luncheon as well as ideas for gifting your lady friends on this very special day. 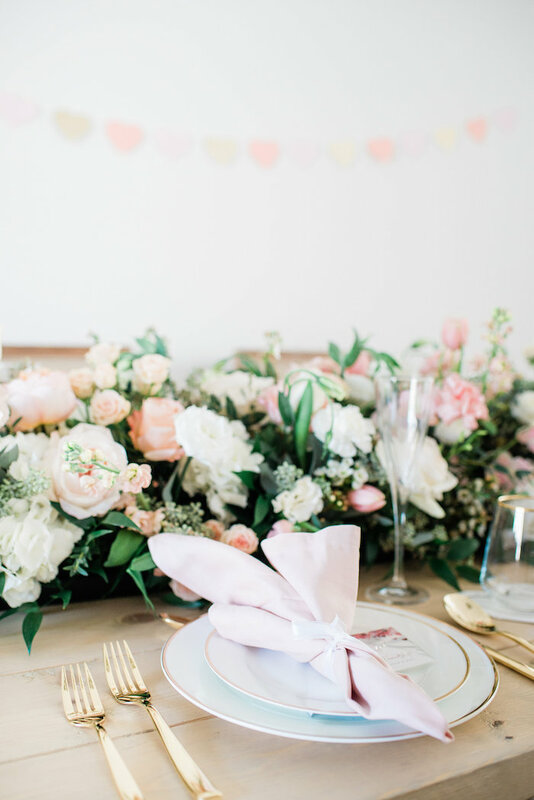 First we made sure to start with a feminine and soft colour palette. 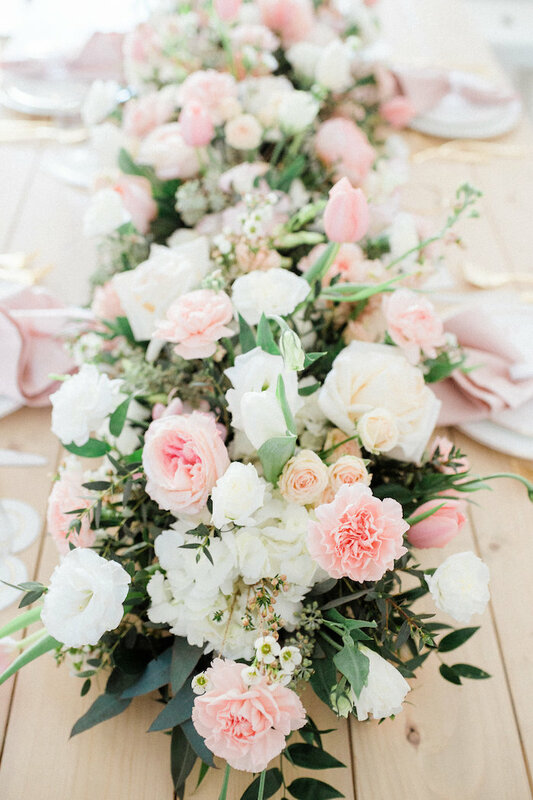 Basket Kase Creations 4 U created this show-stopping floral garland including garden roses, hydrangeas, tulips and more! 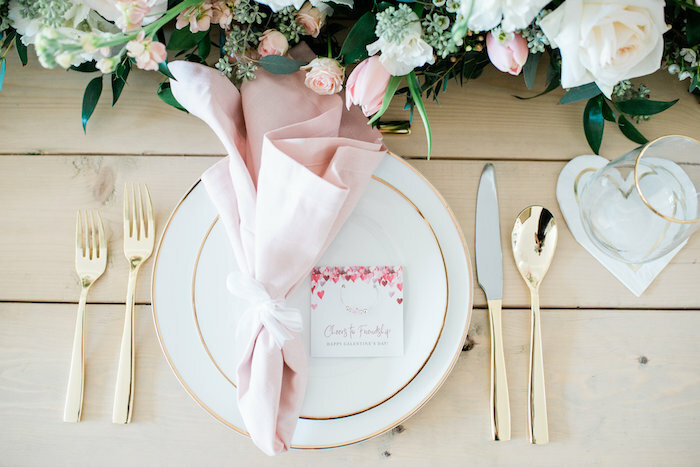 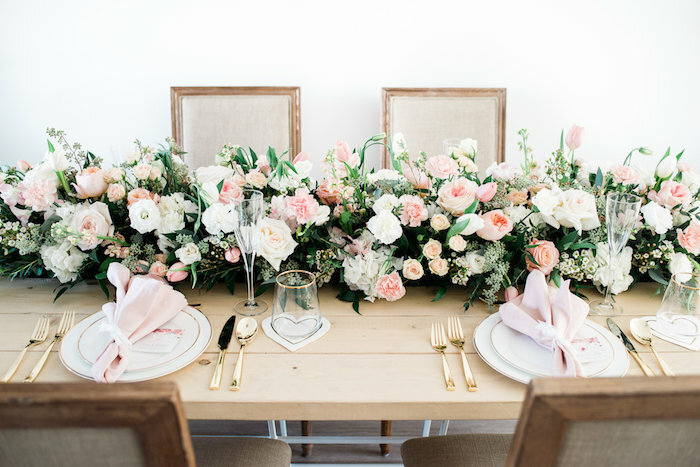 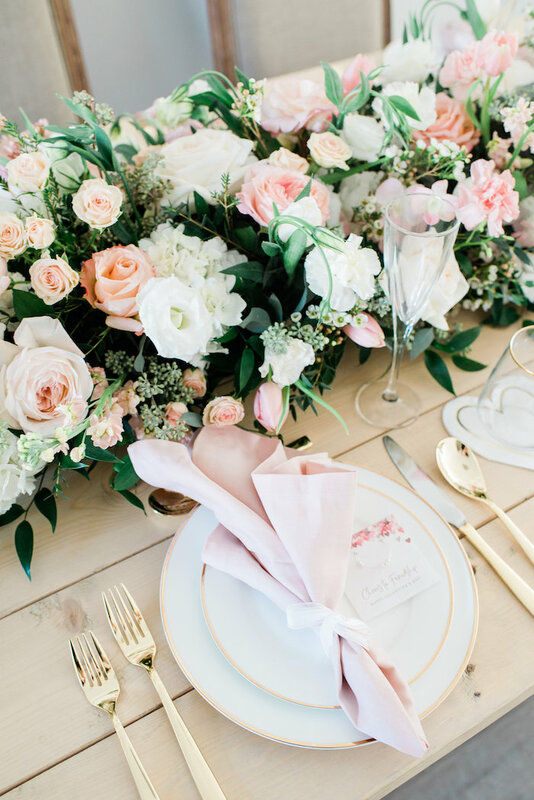 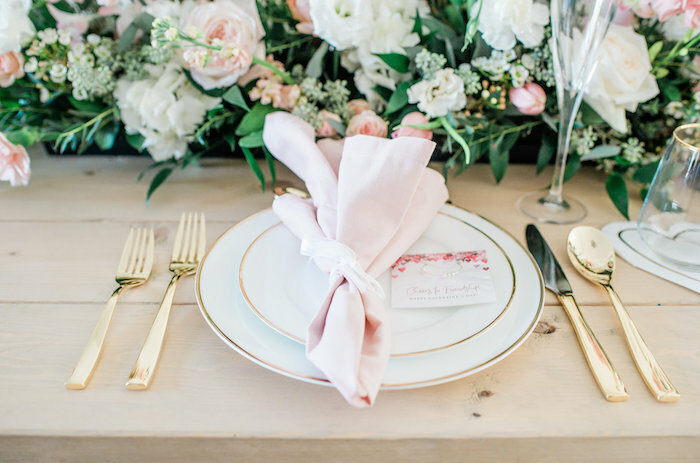 Each table setting included a hand tied blush napkin, gold cutlery, a wine glass party favor and a sweet heart napkin. 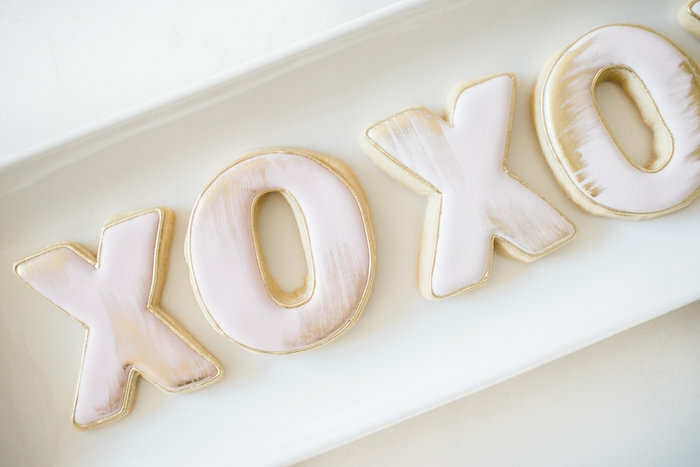 For dessert, we served up a marble cake and the cutest xoxo hand decorated cookies.